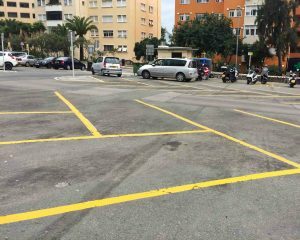 Parking in Gibraltar is an impossible task. Don’t take my word for it: it’s what the minister for infrastructure and planning told parliament. Paul Balban said it in the context of there being 505 designated parking spaces for 2,700 households in Residential Parking Scheme Zone 2, which is already technically in force but won’t be policed until the 3rd of April. Still, it’s quite an admission coming from the minister whose portfolio includes traffic and parking. 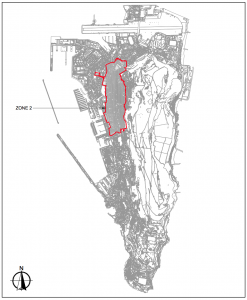 The implementation of the Zone 2 scheme follows what the government has described as the successful launch last July of the much smaller Zone 1, which encompasses the area of Grand Parade, Alameda Estate and Rosia Road. Mr Balban conceded there’d been a “massive uproar” and “a lot of complaints” from Zone 1 residents when the scheme was introduced, but claimed opinions were starting to change, with some people now telling him it’s the best thing that’s happened. Zone 2 takes in most of the town centre, from Queensway to Flat Bastion Road and from Corral Road to Ragged Staff. As happened with Zone 1 the scheme’s come in for its fair share of criticism. 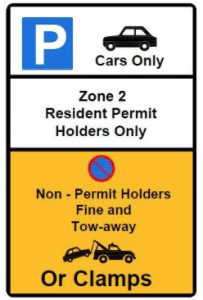 Disgruntled motorists complain of having to drive around searching for parking, while everywhere around them are vacant “resident permit holders only” spaces that they cannot use. Rubbing salt in the wounds is how former GSD and opposition leader Daniel Feetham described it. He outlined the “misery in the mornings” of those, like himself, who have to use their car because they live too far away from town to walk, only to see empty parking bays all along Queensway that are unavailable to them. In a bizarre attempt to mollify, minister Balban suggested that from the motorists’ point of view nothing had changed: before they couldn’t park in that road because all the spaces would be taken, now they can’t for a different reason! 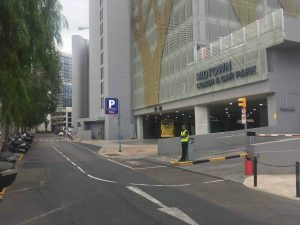 Mr Feetham said that in addition, pay car parks like the one at Midtown, where until now he could find a space relatively easily, are now full as drivers clear the road to avoid their vehicle being towed away or clamped. I had a similar experience when I went to collect my grandson from nursery the other day. Queensway I (wrongly) assumed was already out of bounds. The Ragged Staff car park was full, and within a Grand Parade half-empty because of the Zone 1 restrictions I was lucky to find the very last of a very few blue-lined pay and display bays, where the parking fee is a rather steep £1.20 an hour. 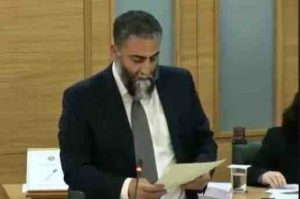 Throughout last Friday’s parliamentary exchanges Paul Balban emphasised that the residential parking initiative is a pilot scheme that will be tweaked if necessary. He urged the public to give it time to settle, and predicted that in six to eight weeks parking spaces that are now empty will probably all be full. I hope he’s right and the investment, with further residential zones to come, will prove to have been worthwhile. At long last the government is poised to introduce legislation that will require it to obtain the permission of the Development and Planning Commission before proceeding with its own projects. This was an election manifesto commitment of the GSLP/Liberals in 2011 and 2015. A Bill for a Town Planning Act is on the agenda for the current meeting of parliament. One of its provisions is that, except in cases that are urgent or necessary in the public interest, “the Government shall seek approval from the Commission … before carrying out any development”. That’s great, so far as it goes. But membership of the Commission, as outlined in Schedule 1 of the Bill, will still include two government ministers: the minister with responsibility for Lands and the minister with responsibility for the Environment, both of who will have voting rights. Would they vote against a government project? Maybe they’d exclude themselves from proceedings that involve a government application, but is that a good enough safeguard? In all, the DPC will comprise 11 members. Besides the two ministers, it will include the town planner – a government official – as chairman and four members nominated by the chief minister. I for one will be watching closely to see whether any government projects are denied planning permission once the new law is implemented. Author gibstevePosted on 24th March 2018 2 Comments on To park or not to park? Is the UK fully onside on Brexit? When it comes to Brexit I think many of us in Gibraltar fail to see the wood for the trees in one important respect. Why is it that we’re on tenterhooks as to how any eventual UK/EU deal will apply to us? Indeed why do we fear that, when push comes to shove, the British government might exclude us altogether if threatened with a Spanish veto? And why is there trepidation whenever the Joint Ministerial Council meets to discuss Gibraltar-related Brexit matters? My own view is that the UK is not behaving as it morally should towards the 30 thousand loyal Britons who live on the Rock. After more than 300 years of shared history we should be confident of Britain’s support. Instead our elected leaders are having to fight for it. Sure, Number Ten, the Foreign Office and the Department for Exiting the European Union reiterate at every opportunity that there’s no danger to British sovereignty over Gibraltar arising out of the Brexit negotiations, and most welcome these assurances are. But Brexit is also about our prosperity and well-being and regarding these, the future is much less certain. A year ago we had the first tangible example of HMG’s lack of robustness. Whereas Theresa May’s letter to European Council President Donald Tusk triggering the Brexit process referred to the potential problems Brexit might suppose for the operation of the border between the Republic of Ireland and Northern Ireland, there was no specific mention of Gibraltar. 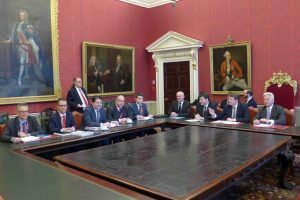 Chief minister Fabian Picardo played this down at the time, noting that although the letter did not mention Gibraltar specifically it did cross refer to an earlier White Paper that dealt with Gibraltar issues. But a book by the political editor of the Sunday Times claimed that Mr Picardo was “enraged” by the absence of an explicit reference. He had cause to feel aggrieved again when Spain’s veto over the application of any post-Brexit agreement to Gibraltar was upheld at every stage, from the European Council’s negotiating guidelines in April 2017 through to the EU’s draft withdrawal treaty published a fortnight ago, with barely a squeak from the UK. 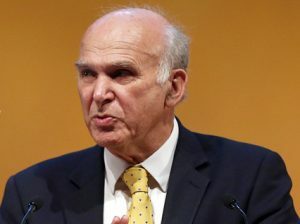 The respected leader of the UK Liberal Democrats, Sir Vince Cable, says the Conservatives’ first act in response to the publication of the joint negotiating position should have been to insist on the removal of the Spanish veto clause. 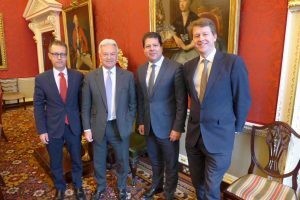 Earlier this month, following the latest Joint Ministerial Council meeting, it was announced that Gibraltar financial services firms would continue to have access “as now” to UK markets after Brexit, but only until 2020. Why? Echoes, for me, of 1984 when another Conservative government, led by Margaret Thatcher, attempted to sugar the pill of the naval dockyard closure with a financial package over a number of years, but nothing after that. Beyond 2020 the intention, according to a British government press release, is to design a “replacement framework”, but there’s no guarantee this will happen. What becomes of our finance centre if the UK and Gibraltar fail to reach an agreement? Let’s not forget, as Justin Webb pointed out when he interviewed Fabian Picardo for BBC Radio’s Today programme last Thursday, that Gibraltar competes for financial business with the City. Incidentally, Mr Picardo told GBC that access to UK markets would continue “until the end of 2020”. But the UK statement is not so specific. Unless Mr Picardo has received separate assurances, there’s nothing to stop the UK terminating access at midnight on the 31st December 2019. Writing in The New European, Vince Cable says the British government’s “weak negotiating stance (with the EU) has left Gibraltar facing the possibility of the hardest Brexit of all”. However, the chief minister has asserted that the Gibraltar parliament will have the final say in determining what parts of an eventual Brexit deal are applied locally. I wish him and the rest of his negotiating team the best of British luck. Provided you have deep pockets it seems that in Gibraltar you can break the speed limit as often as you like, and even drive dangerously, without being made to suffer too much. In court recently a man owned up to more than 30 charges of speeding over a period of four months and also pleaded guilty to one count of dangerous driving. He received an admittedly hefty fine, but there was no mention in the news of his having been disqualified from driving for any length of time. I guess the court understood his plight: the poor chap, who lives in Spain but works on the Rock, is often running late, hence his tendency to speed “a bit”. I hope he had enough money left over after forking out for the fine to invest in a good alarm clock. 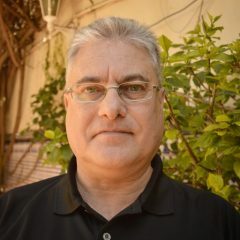 Author gibstevePosted on 19th March 2018 Leave a comment on Is the UK fully onside on Brexit? 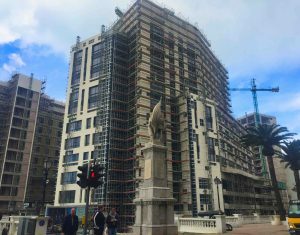 Last week I wrote about the high-rise developments that are sprouting up all over Gibraltar with the consent of a seemingly supine Development and Planning Commission. I identified Eurocity, with its three giant towers, as arguably the worst culprit of the lot. Coincidentally the developer has released new images of the project. The 70-metre-tall towers, we’re told, will have views towards Spain, Africa and the Rock. That’s great for the high net worth individuals and property investors that the “high specification apartments” are squarely aimed at but who’ll probably spend little, if any, time living in them. Not such good news for ordinary locals though, as the views many of us have enjoyed from our homes continue to be relentlessly and remorselessly obliterated. 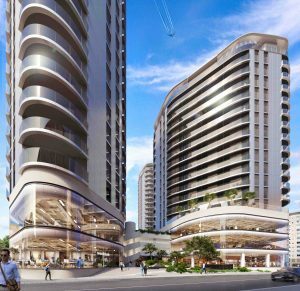 The local agents say Eurocity “will eventually change the face of the Rock and become a benchmark for future developments.” Ominous words indeed. In true estate agent-speak, they add that the “three sustainable towers” will “punctuate” the Europort area where they’re located. What a pity the DPC didn’t full stop them when it had the chance. In my last column I also mentioned the Prince Edward’s Gate development. I said residents had had to put up with construction work on the site for many months. I was right. More than fifty months in fact. It’s been pointed out to me that the works have been ongoing for four and a half excruciating years with, it seems to me, little prospect of the project being completed by this summer, as advertised. Having lived for 14 years in Morello’s Ramp, directly behind the new building, I have nothing but sympathy for my former neighbours. Still on the subject of development, four months ago I alluded to the failed Blue Water scheme on Gibraltar’s east side. The chief minister had just intimated on GBC Television’s Direct Democracy programme that the developers, Camoren Holdings Limited, pulled out because of economic uncertainty following the Brexit referendum, never paying the £83 million premium it owed the government for securing the site. But the development had been announced with great fanfare in June 2015, fully a year before the referendum. In November 2015 Camoren said it was “finalising arrangements for the payment of the premium, once the required legal documentation is completed”. The company’s chairman said they were ‘ready to commence construction works” and “land premiums will be paid in full shortly and a reasonable timeframe has been agreed for the resolution of legal documentation to be finalised”. Why, then, did it take so long, to the extent that the development never materialised? And where were the other interested parties that minister for inward investment, Joe Bossano, claimed were waiting in the wings if the Blue Water project did fall through? Proof if any were needed that it’s best not to brag till the deal’s in the bag. 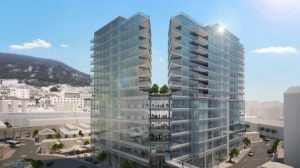 When it comes to construction in Gibraltar, is the sky the limit? The latest proposal to go before the Development and Planning Commission is for a 15-storey, multi-purpose building at Devil’s Tongue. Admittedly the area is rundown and crying out for a facelift, but … 15 floors? If approved, it would be one of the tallest buildings in the area. Isn’t it funny how developers would have us believe their aim is to improve our lives rather than their bank balances? 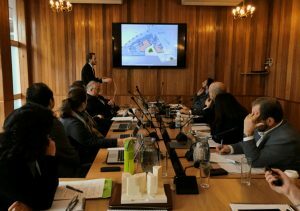 In their presentation to the DPC, the architects said the development would maximise space, vistas and existing structures, whatever that means. It would also, apparently, improve traffic flow even though access to Queensway from Waterport would be cut off. At the DPC meeting the town planner pointed out that the road they were proposing to close is a major artery for long vehicles and that the highway authorities have said the proposed turning circles for such vehicles do not work. “We are not saying we are traffic consultants” was the grudging confession. The venture would bring employment and “good quality housing to the area”. Unlike the hovels the neighbours live in, presumably. And, of course, it would enhance quality of life. Tell that to the 141 residents of Montagu Crescent who signed a petition opposing the plan or the 13 other objectors who wrote in detailing their grievances. Oh, and there’s the “possibility” of a park, although after probing by environment minister John Cortes it turns out the so-called “Linear Park” is not actually part of the proposal but something that would be nice to have. If someone else pays for it, no doubt. A park here and a green roof there and with luck we’ll get planning permission, seems to be the common tactic. The Devil’s Tongue project is just the latest in a long line of controversial buildings loved by some, hated by others. One that falls into the latter category for me is Prince Edward’s Gate, an apartment block situated near the Hargraves playing area on Prince Edward’s Road that’s (optimistically) due for completion this summer. How this got past the DPC beats me. Appropriating the name of the historical 1790 archway in Charles V Wall just up the road is already bad enough in my book. But the structure has been shoehorned into the tightest of spaces, dwarfing existing buildings and making life a misery for nearby residents who’ve had to endure noise, dust and general inconvenience for many months only to be deprived of light and a view in exchange. Meanwhile, Midtown isn’t so much a blot on the landscape, as the landscape itself for anyone unfortunate enough to live under its towering presence. Did you know, by the way, that the two behemoths that comprise it will sprawl over 18 thousand metres squared? That’s the equivalent of 25 football pitches in a footprint where, until recently, we had just two. Were you aware that the zones in the residential Liberty Building overlooking Queensway will incongruously be named after American cities: Boston, Madison, Lexington, Burlington and Arlington? And that whereas the original scheme presented at the time of the GSD government included a public park, the Midtown website depicts “private gardens”? No sign either of the school that was supposed to be provided. 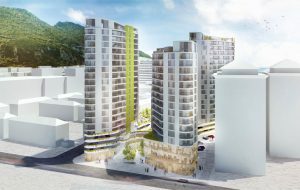 Arguably taking the biscuit is the Eurocity project that was approved last year. It consists of three towers of 22, 21 and 17 floors, the tallest stretching to 70 metres. 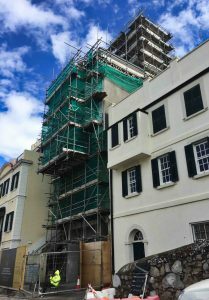 By way of comparison Constitution House and Referendum House in Glacis, the tallest residential buildings in Gibraltar when they were built, are each 50 metres in height. 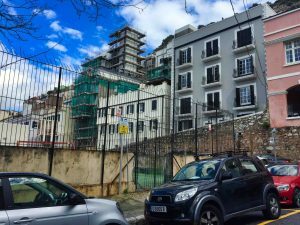 Now, I know that space in our tightly packed community is very limited and we have to continue to build flats and offices for locals as well as foreigners who work here, many of whom have to rent in Spain. But if we carry on like this we’re in danger of destroying forever the character and charm that make our city so special. 30 years ago the first GSLP government substantially increased Gibraltar’s landmass through the Westside land reclamation programme in the harbour. Maybe it’s time to repeat the exercise.